This is what Governor Hassan is doing to your children. PLEASE CLICK ON THE LINK AND WATCH THE SHORT VIDEO!! Some state officials are finally admitting how bad Common Core is for your children. This entry was posted in NH Legislature, Political and tagged Commoncore, math, SB101 on May 22, 2015 by SCC. NH parents. Today Governor Hassan vetoed SB101 which would have prohibited the State Dept. of Ed and Board of Ed from forcing schools to use the Common Core Standards. Please share this video with parents across New Hampshire and let them know, this is the kind of curriculum the Governor supports in our local schools. Governor Hassan IS KILLING the Math Education in New Hampshire. This entry was posted in Video and tagged Commoncore, GovernorHassan, math, NHpolitics, SB101 on May 8, 2015 by SCC. The Legislative Session begins in Concord next week as legislators start hearing testimony on legislation that has been submitted. There are several Bills addressing Common Core, privacy and assessments. Below is a letter sent to the Senate Education Committee by a Pittsfield parent notifying them about the damage that is being done to her children through the Common Core math. At what point will Governor Hassan step in and stop the madness? When will legislators listen to parents and do something? This is what happens when you let the federal government continue to dictate what has to happen in our local schools. I was asked to attend on Tuesday, but I have no way into Concord. I hope this email makes the same Impression I could in person. I live in Pittsfield and I am the mother of an amazing 10 year old boy. Nicholas is in 4th grade and is extremely bright, he has always grasped new concepts and learns quickly. This past year I have seen my eager to learn little boy struggle of the constantly changing math. Some days he sits and cries , slaps himself in the head and calls himself stupid or idiot while doing homework. There are so many issues and I will try and pick out a few. Like breaking down Multiplication. I will try and keep the examples simple. 124X6= Now to simply write 744 would be marked wrong. Now it is 120X6= 720 4X6= 24 720+24= 744. The issue is some of the problems were longer and he would get confused, miss a step and then get marked wrong. In fact he got most of the paper wrong. He gets word problems that can have different answers but still be correct, but gets marked wrong if it wasn’t the one they were looking for. Any math that involves estimating. Writing to explain. There is a good one. If the answer isn’t worded the way they want he gets marked wrong. Maybe sometimes 6 X 4= is just 24. Last Night his homework was divide by subtracting several times. I thought Oh that’s easy. 16/4= 16-4 = 12 12-4= . Nicholas stopped me and proceeds to show me this complicated equation. He lost me halfway through it. After an hour he still was not done. I took the paper away and told him to turn it in the way it was. cry during class over the math. I do not know what the math is trying to accomplish other than divide children from their parents because we cannot understand the “New Math” or are they deliberately trying to confuse them? Education cannot be a one sized fits all concept. It will not work. The math is often Cognitively and developmentally inappropriate. They are trying to force kids into concepts and skills they are not ready for. I will not stand by and watch my child loose confidence in himself. I will not stand by and watch as people try and destroy the love for learning I instilled in my child from the time he was born. I cannot watch it happen to an entire generation. Now I was informed by the superintendent that Pittsfield has not adopted the CCSS, Yet this is clearly the same math being used across the state and the country. The Papers say Common Core On it. What kind of a world are we handing our children when we teach them 2+2+5? It’s high time we stop this in it’s tracks before we hear that clock begin striking 13. This entry was posted in Parents and tagged DawnMistler, math, Parent, Pittsfield on January 16, 2015 by Admin. This is an example of a math problem given to a 1st grader (7 year old) in the Pittsfield school district. This was sent by a mom who is frustrated by the math problems that are being assigned to the young children. This is an extremely challenging problem for a 1st grader who is still trying to master (if even required) basic math facts. As students progress, this might be a worthwhile problem, but as you can see, for many 7 year olds, this kind of abstract thinking can be extremely frustrating to a young child. One has to also wonder, why not focus on memorizing: 5 + 8 = 13? If children have to manipulate basic math, it can lead to simple errors. Children who memorize their math facts, do not have to worry about making simple mistakes. Students who’ve memorized their math facts are at an advantage over their peers who did not. This entry was posted in Miscellaneous and tagged Commoncore, math, Pittsfield on January 6, 2015 by Admin. Stop Common Core in NH monitors and participates in discussions on Common Core. We listen to parents and teachers all across the country, research and post information to help others fully understand what this reform is all about. We wanted share a conversation that was recently posted on one of the NUMEROUS face-book pages opposing Common Core. Below is an original post from a dad and then the replies he received from other parents experiencing the same struggles with their children. A big concern we have for children experiencing this kind of cognitive child abuse, what if they don’t have a responsible and caring “dad” like this one? It’s important to listen to the frustration from parents. We’ve heard this from students and teachers but the frustration parents are experiencing is equally important. Teachers are fleeing the profession. Parents are pulling their kids out of public schools. It’s almost as if the reformers set out to destroy public schools in America. The question would be: WHY? Dad: On a sad Common Core note… I was doing math homework with Samantha (7) yesterday. Things were going good and I was happily surprised at how quick she was adding two double digit numbers, even with carrying of the “1″. Finally…my kind of math. Easy, quick and intelligent. Then it came to a halt when we turned the page. Now they wanted her to add the double digit numbers using such an asinine way. I forgot to take a picture of it, but it was so stupidly confusing for me, let alone a 7 year old. Her eyes watered up as she started hitting herself in the head. I was crushed. I threw her math book in her backpack and hugged her until she calmed down. I wrote a note to the teacher telling her that I will be having her skip any homework problems that cause such a reaction. Does it really have to be like this??? REPLY: Sent a note home on part of HW last night (grade 5) that the estimation of divisors and quotients frustrated my child to the point of tears. Entire class failed test #2, my child told me. REPLY: Third grade is worse. It is a very sad statement about what this garbage is doing to our kids confidence. My son used to love math, now hates it. REPLY: I was given advice by my then 7th grade principal who has two sons of his own. He said as a father he had to seriously weigh the issues with homework vs. his child’s final grade. As a father he was willing to allow his child to opt out of some of the homework and taking a lower grade. I’ve heeded that advice for my son. REPLY: Hugs for you both. A child should NEVER have to feel that frustrated over something that could be so simple. What you described is them dishing out pure cognitive child abuse. You definitely did the right thing. REPLY: And still, I’ve heard so many high level engineers and accountants and such say that if they, or anyone in their employ, took this long to do simple math in such an asinine way, they’d be fired. What does the government think they are preparing our kids for? TWO year colleges. TRADE schools. I’m not against those things, but it’s as if that is all our kids can hope for now. Kudos to all you parents that refuse to let your children be hurt by these ‘government approved’ methods. After all, our government is doing such wonders with everything else put in front of them. This entry was posted in Miscellaneous and tagged Commoncore, Dad, frustration, math on November 20, 2014 by Admin. Congratulations on your win last night. I am contacting you to ask, no to beg you to help get rid of Common Core in NH before it is fully rolled out. CCSS is nothing short of child abuse. Let me tell you about MY Child. Nicholas is 9 (almost 10) Nicholas is a sweet, compassionate intelligent little boy. A boy who was reading at 3 1/2, He wrote a story at 4. Sure it was only about 10 sentences, but it was something he did. He knew his ABC’s at , He could count to 100 at 3, and could count by 2′s 5′s and 10′s before he was in Kindergarten. He was reading at a 1st grade level entering school. He has always love to read and do math. Until Now! Every afternoon getting homework done is a struggle, there are tears, and frustration. Math that should take seconds to complete now takes several minutes. The other night 20 simple multiplication facts took over an hour to complete.Breaking down numbers? How do you make 10 when adding 5+8? How about word problems that are written to confuse as enough information is not given to solve the problem. Points taken off because how an answer is come to isn’t good enough. REALLY? Much of it is inappropriate, cognitively and developmentally. Pittsfield NH School: Success or a Big Fat Lie? This entry was posted in Parents and tagged Commoncore, DawnMistler, math, Pittsfield on November 5, 2014 by Admin. Reform Math or Fuzzy Math has been causing a stir among parents for a long time. Fuzzy math has been limited to school districts that made bad decisions for their students. Unfortunately with the Common Core Math, we are seeing a widespread implementation of these problematic and confusing math programs. Fuzzy math has been directly linked to the systematic demise in math education in this country. Often times sold as “rigorous”, many of the people selling this potential disaster have never had to teach math to students before. Now instead of seeing isolated areas where Administrators implement a poor math program at the expense of their students’ math education, Common Core is spreading this harmful curriculum nationwide. 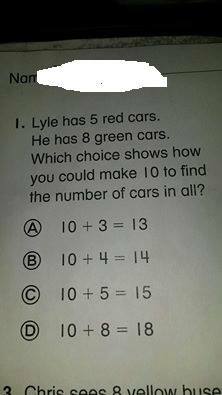 Parents have become so enraged that they are posting their children’s Common Core math homework on face book pages. It’s worth noting that many of these parents are college graduates with degrees in the math field and even they are perplexed by their 2nd grader’s homework. It makes you wonder why organizations like the U.S. Chamber of Commerce would have jumped behind this reform effort. Then you have to remind yourself, they got a BIG pay-off from the Gates Foundation! This entry was posted in Academic Standards, Curriculum, Inappropriate Lessons and tagged BrianWilliams, Commoncore, Fuzzy, math, NBC, Reform on October 30, 2014 by Admin. CC does not require proficiency with addition and subtraction until Grade 4 (a grade behind our international competitors). CC does not require proficiency with multiplication using the standard algorithm (step-by-step procedure for calculations) until Grade 5 (a grade behind standard expectations). CC does not require proficiency with division using the standard algorithm until Grade 6 (a grade behind our international competitors). CC starts teaching decimals in Grade 4 (about two years behind the more rigorous states) and fails to use money as a natural introduction to this concept. CC fails to teach in K-8 about key geometrical concepts (e.g., area of a triangle, sum of angles in a triangle, isosceles and equilateral triangles, etc.). CC fails to teach prime factorization. Consequently, CCS does not include teaching about least common denominators or greatest common factors. 1. division of monomials and polynomials (only addition/subtraction/multiplication is covered). 2. Derive and understand slopes of parallel and perpendicular lines. 5. Multi-step problems with four operations between polynomials. 7. Solve a system of two linear inequalities in two variables and to sketch the solution sets. CC de-emphasizes algebraic manipulation, a prerequisite for advanced mathematics. Instead, CCS redefines algebra as “functional algebra,” which does not prepare students for STEM careers. 8. Solving Equations and inequalities with absolute value, and problems with such. CC excludes certain Algebra II and Geometry content that is a prerequisite at almost every four-year college. CC replaces the traditional foundations of Euclidean geometry with an experimental approach. This entry was posted in Miscellaneous and tagged CarlVanOstern, chrispappas, Commoncore, flaws, GovernorHassan, math, SenatorHosmer on October 16, 2014 by Admin. Why Do Americans Stink at Math? Some of the Answer. This will offer some different perspectives on math education and offer some history of the destruction of math education in the United States. You will also note that Common Core Math Standards do NOT offer a good alternative. This entry was posted in Miscellaneous and tagged BarryGarelick, Commoncore ElizabethGreen, math, WayneBishop on October 11, 2014 by Admin. It is against federal law for the U.S. government to either create, fund or mandate a national curriculum. While the CCSS does detail what English and math skills every student needs to know at the end of each grade, there is no mandate as to how these standards should be taught. Therefore, argues the CCSS website, Common Core is not an official curriculum. Local school boards should therefore just say NO to Common Core.